Let’s start with full disclosure: I am not a foster dad. But I am a foster grandpa turned adoptive grandpa and a transracial adoptive dad, as well as a biological dad and a biological grandpa. Four kids came into our house through birth, and one through adoption. Two of my kids have ADHD, one has OCD, and one has an intellectual disability. 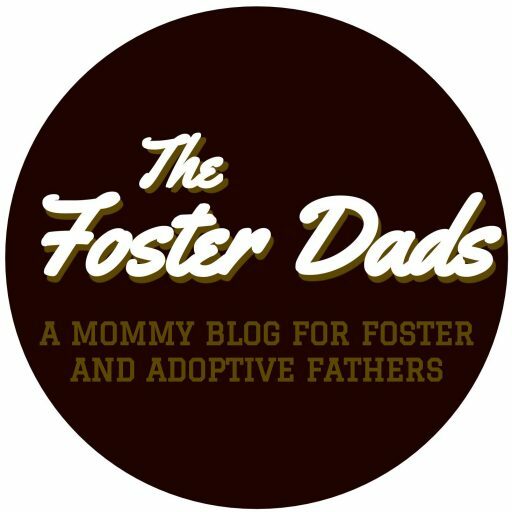 One of my biological kids is Zachary, one of the creators and writers of The Foster Dads blog. Five grandkids came into our lives biologically, one came in initially as a foster placement and is now my grandson through adoption. I love being a dad. I love being a grandpa. On any given Sunday afternoon, you can find two grandparents, four kids, and four grandkids in my house. From time to time there is a little crying (sometimes from the adults), a little yelling, and a little pandemonium. It is chaotic. It is fun. It is fatherhood. You and I both know that these books are not written for parents of kids in foster care, kids who were adopted, kids carrying emotional scars, kids with disabilities, or just about any real kids. They were written to build up the ego of the authors and to make money. For the most part, all they succeed in doing is making good parents feel hopeless and inadequate. We don’t need books to do that; we have children! However, I have found the secret to being a good parent. The key to parenting every child. The one thing that works for every child, whether biological, adoptive, or foster. It is not easy. It is hard, very hard. And I can’t guarantee specific results. But think about it for a moment and you’ll realize that I’m right. Here’s the secret: give each child what they need. It seems so obvious, but it’s really, really hard to do. I know it. So do you. I’ve tried to parent this way since sometime after my third child, Zachary, was born. You see, my first two kids were girls. The kind of kids that did what they were supposed to, played nicely, and always told me that they loved me. I obviously had read the right books. Parenting was easy. I couldn’t understand how all those other parents could have such problems. Surely, they didn’t know anything about parenting. My wife and I were just that good! Since Zachary came into our lives, our parenting skills have been on a long downward spiral. Zachary didn’t always play nicely. Neither did his brother Jordan, who came along two years later. They ran, they hit, they punched. Then the girls became…teenagers!!! One would cry for no reason. The other entered what is commonly referred to around our house as “the dark years.” We couldn’t keep Zach focused and his younger brother was the type A personality who would battle to the death to get things his way. And that was before we adopted child number five who, it turns out, had marijuana and cocaine in his system at the time of his birth, which led to serious learning disabilities. As with a lot of siblings, they were as different as they could be. None fit the mold, liked the same things, or responded the same way to parenting. Being a Christian, I have heard a million times the old proverb “train up a child in the way they should go, and when they are old they will not depart from it.” Generally, people quote this to reinforce the point that if you raise your children the “Christian” way, they will be forced grow up to be nice little Christians who never cause problems or stray from their parent’s religion. I call this the “practically perfect progeny” interpretation. Unfortunately, that is not what it says at all. First and foremost, the verse is found in the book of Proverbs, which means it is a proverb, not a promise. That sounds more like a threat. Woe to you! If you let a child go his own way, he will stick with it. Yikes! My preferred interpretation is neither the “practically perfect progeny” or the “woe to you” interpretation. It instead focuses on the phrase “in the way they should go”. Notice, it does not say “in the way you think they should go” or “in the way the latest book I read on parenting says they should go” or even “in the way they think they should go”. It is the way they should go! It is intensely personal. It is about them, their giftedness, their background, their pain, their desires, their failures, and their successes. So how do you take this and run with it? There is no great secret or three-step plan. (If there was I would have written a book!) Instead, I have some suggestions, none with simple steps or guaranteed results. Get to know your kids. As foster dads, this is can be hard because you have not had an abundance of time with them. So, spend time with them. Lots of time. Doing whatever they like to do. Play games, go for walks, go shopping (yes, really! ), go on hikes, read books, watch movies … together. Even if they are teenagers. Especially if they are teenagers. Instead of reacting when they act out, think about why they are acting that way. You will need a lot of practice on this part. Kids don’t misbehave because they are evil. (I know what you are thinking, don’t even go there!) Especially when kids have trauma histories, bad behaviors typically come from places of hurt and need. They are not evil; they are in pain. Do what you think your kid needs. It’s good to get advice, but you can’t always take it too seriously. Rarely does your advisor really know your kid like you do. They haven’t spent the time with them that you have. You are the expert on your child. Let me close by saying this: I love all you foster and adoptive dads out there. I love the kids in your care. I am in awe of your commitment, your efforts, and your love. You have what it takes! You can do this! My prayers go with you. Scott DeLoach is the biological and adoptive dad of five and the biological and foster-turned-adoptive grandpa of six. He has been raising kids non-stop for thirty-three years and loves it. He and his wife Amy live in Manhattan, Kansas, where he is the Department Head of Computer Science at Kansas State University. He also blogs at www.scottdeloach.com.